Face wash products are supposed to help but if overused they can actually make your skin worse. This is not the most gentle face wash out there as it has some exfoliating beads. Although they are advertised as gentle exfoliating beads, I found this product a bit too harsh for my skin. I rarely use it now and I would not recommend it for daily use. 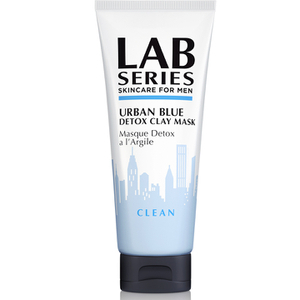 I really like the LAB series range and decided I would make a switch from my current cleanser and try this face wash. It's probably the best I've used and leaves your face feeling incredibly clean. It is mildly exfoliating so can be used every day as opposed to some of the harsher washes. My skin looks brighter than it has done previously and shaving is easier than it had been with my old wash, mainly because this seems to soften my facial hair more effectively. I definitely recommend this, a little product goes a very long way so it will last for months. 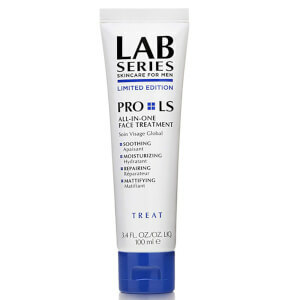 I follow this with Pro LS All-In-One Face Treatment and eye cream, all working well together. I buy and send this product via Mankind's marvellous delivery service to my son in Australia. He has used it every day for the last 4 years first in the UK now in Melbourne. As he is a keen hockey player , out in all weathers, he needs a top quality product to clean and yet protect his skin. 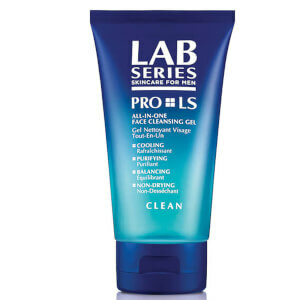 Lab Series Multi Action Facewash is just perfect for him. I just hope that you never discontinue it, because it is the best product he has ever used and he would be lost without it. A wonderful, quality product. Thank you Lab Series. Thank you Mankind. Marilyn Mason. On behalf of Alexander Mason . This Multi-Action Face Wash is really good stuff! This Multi-Action Face Wash is a brilliant face wash from a trusted expert brand, as soon as you have massaged this stuff over your face and washed it off your skin feels squeaky clean and looks and feels fresher. Cannot say a bad word about it and not to mention it lasts absolutely ages because you only need about a pea sized splodge. Brilliant face wash. I had used others in the past that left my face red or dry, not in the case. 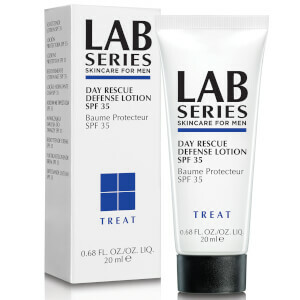 A great product overall for my normal skin. It's micro-beads means I don't use a scrub and it works great to lift bristles before shaving. I knocked it down a point because in its 100ml size I find it depletes quite quickly, and the beads can irritate sensitive skin. when I used Multi-Action Face Wash all you need is a dab and it goes really creamy but once you wash it leaves your face so sticky, like a bad soap does. When you rub your hand against your face it feels it sticks. I've used a whole hoard of face washes in my time (most recently from the Dermalogica range) and this is by far the best. It also appears to last pretty well, as you only need to use a small amount. Just watch you don't get any in your eye - it's stings like hell. This is by far the best cleanser I've ever use. I used to have acne, and the last thing I remember, this one clears them out. When this runs out, I change to Kiehl's. Works great also but too watery. Thinking of getting Zirh or Menscience, but after a long consideration, I want to continue using this cleanser again. But I know it works. Lab Series rules!